we would like to draw your attention to the below arbitration events in our region and, of course, to our very own flag-ship event, the Vienna Arbitration Days. As a brand-new feature, you can join us on LinkedIn for regular updates on our activities and events! 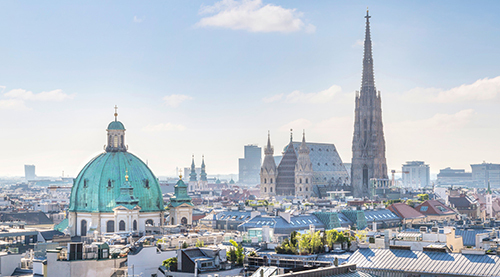 Please join us in Vienna on 1-2 March 2019 for the leading Austrian arbitration conference, the Vienna Arbitration Days! This year, the topic of the conference will be "Sciences and Innovation in Arbitration". Prof. Catherine A. Rogers will be holding the keynote speach and we look forward to excellent panel presentations on topics such as "Perception and Reality: Psychology in Arbitration", "Mathematics and Economics in Arbitration", and the "Impact of Sciences on Arbitral Proceedings". Together we will engage in lively discussions of these topics in the World Café round-table setting on the second day of the conference. "Dispute Resolution in CIS-Related Business Transactions"
The full-day event will take place at the Frankfurt am Main Chamber of Commerce and Industry (HK Frankfurt am Main), Börseplatz 4, 60313 Frankfurt/Main. Arb|Aut is pleased to support this event. Arb|Aut members benefit from preferential rates. "Schiedsfähigkeit von und Schiedsverfahren in Erbsachen"
The conference is scheduled to take place on 6 September 2019 at the University of Zurich, KOL -E- 18, Ramistrasse 71, 8006 Zurich. Registration is open until 30 August 2019. For further information please visit the website.